Mr Samuels, who was the coach of world leading 400m hurdles athlete, Kyron A. McMaster of the Virgin Islands, lost his life due to injuries sustained during Hurricane Irma on September 6, 2017. The viewing and service will take place at the Methodist Church in Sea Cows Bay. Viewing is scheduled for 9:00 AM to 10:00 AM with service to begin immediately after. The passing of Xavier “Dag” Samuels, during Hurricane Irma, has left the athletics family of NACAC and the Caribbean in a state of mourning. 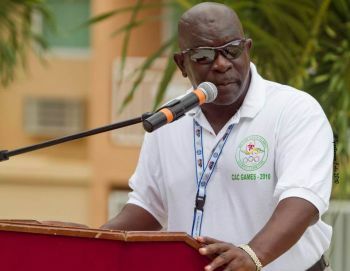 Whilst the entire local Sports fraternity is still in shock, and details of the funeral are still to be confirmed, Victor Lopez, on behalf of the NACAC athletics family and as NACAC President and Member of the IAAF Board, has expressed his deepest condolences to the family of Coach Xavier ‘Dag’ Samuels. 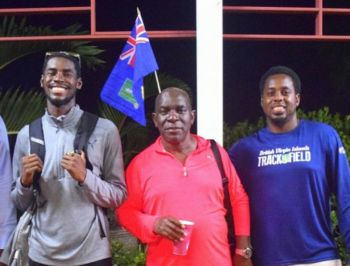 In conjunction with Reynold 'Rey' O’Neal OBE, he was one of the fathers of BVI Athletics. He was a sincere individual, tireless worker, exceptional organiser, great coach and friend. The NACAC Area and the OECS region lose one of its best treasures as a human being and we will remember him forever. We are all indebted for everything he gave our sport and even more for being an exceptional human being. VINO can you please update us asap whenever you know when Dag's funeral is. That info would be appreciated. Thanks VINO for that update. It is very much personally appreciated. I am sad at the passing of Dag. He was an outstand coach and many benefited from Day's talent and selfless dedication to track and field. He died at the top of his game. He will always be remembered. How sad and he will truly be missed...many great memories of the Cane Garden Camp and his wonderful help and contributions...oh my, how sad..I always liked to see him and have a hug. My sincere condolences to the family of Dag Samuels. I remember him as my childhood friend. Indeed he will be missed. I hate hurricane irma, it took dag from us. Saddened to hear of the passing of Dag. A former class-mate, I ran into him about 4 years ago while I was on Tortola, actually he remembered me before I did. R.I.P. Dag...to his family and friends "Weeping May Endure For a Night, But Joy Cometh In The Morning>"
Hope I can travel back to the BVI for this Funeral. I am sure that he will be greatly missed not just by his family but by the entire BVI sporting community. Condolence to the family. Sincere condolences to the family, relatives, friends: Dag was An exemplary man who ran more than he walked and witnessed more races than he could run; He recently introduced me to his daughter; clearly he adored family. When we were kids everything was about Germaine and Dagma whom I never met; RIP Well done my friend. Well Done!